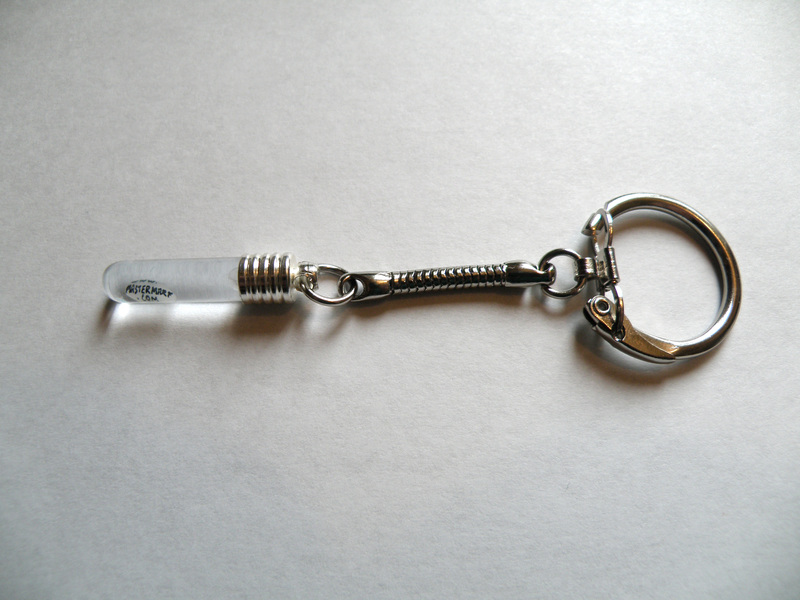 While I was on Fremont Street in Las Vegas I had a key chain made. 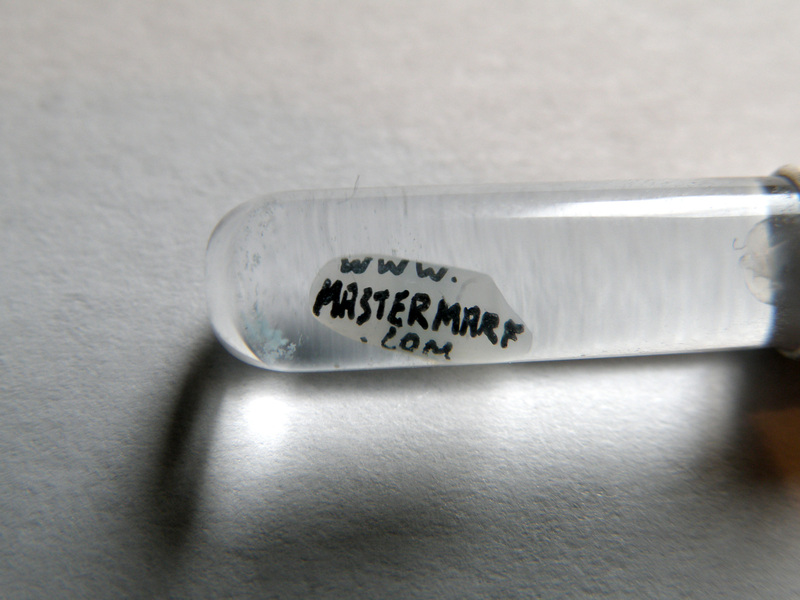 Not that I actually use key chains, but I wanted my website address on a grain of rice. It cost me $10.76 after taxes. Click an image to view full. 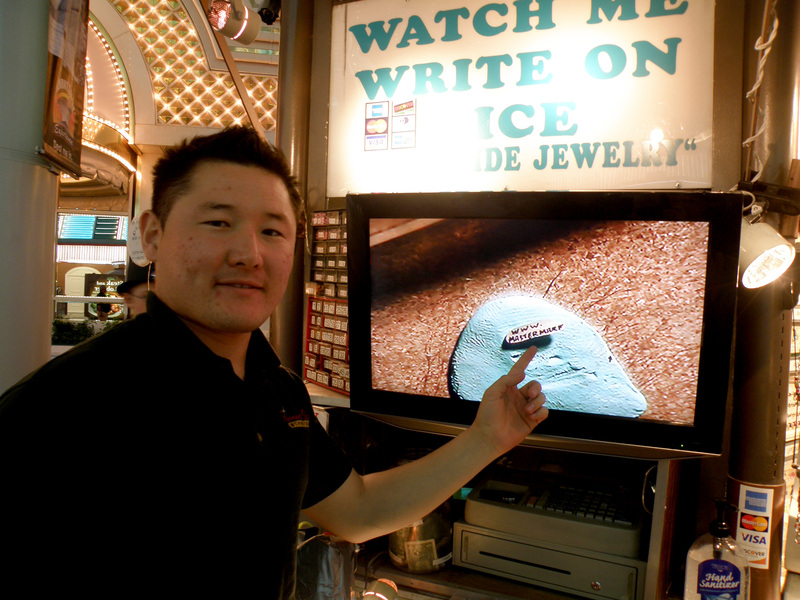 This dude writes any message you choose on a grain of rice; I think there was a 64 character limit. He does it freehand and with no magnification. The monitor you see in the photograph is for our benefit. Here's what the key chain looks like. The grain of rice is in a clear oil inside the little vial. There were many different vials to choose from, with little ponies or dolphins on them. There were also different colors of oil. I just wanted a basic vial with clear oil. After he wrote the address he still had room, so he asked me what else I wanted on it. 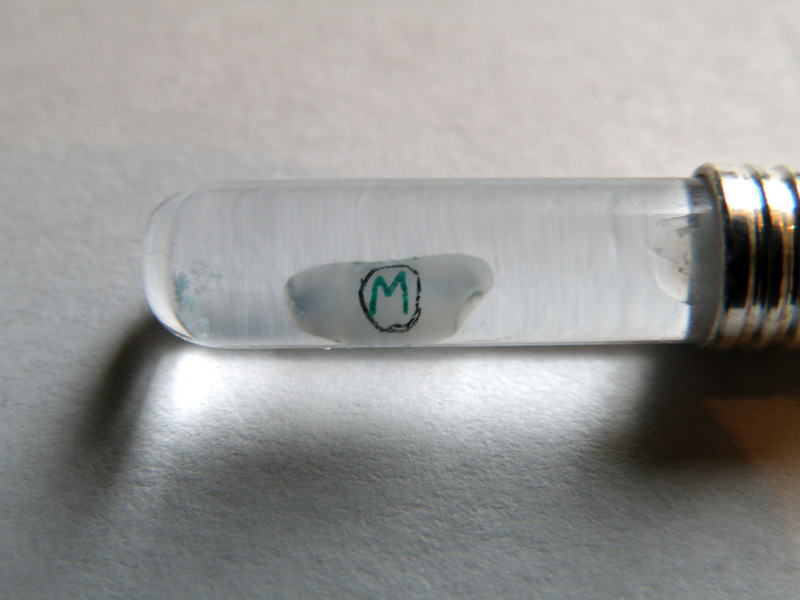 I had him put my little M symbol on the other side of the grain of rice. Nice. That's gotta take some skill. @ Vid: Yeah, I don't have the eyesight or the steady hand to be able to do that.